It’s Official Voyager 1 has Finally Reached Interstellar Space! 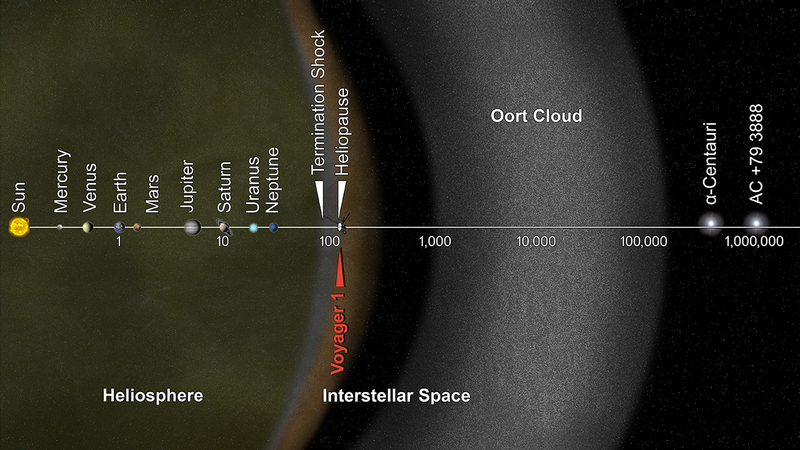 For a long time now there has been quite the debate over whether Voyager 1 had reached interstellar space. It’s clearly out of the solar system and the last barrier is the heliopause before Voyager 1 is truly in interstellar space. Here’s a breakdown of the voyage. The 36 year old spacecraft is approximately 19 billion kilometers (12 billion miles) from our sun. Interestingly Voyager 1 has shown data that it has been traveling through plasma or ionized gas which is present between stars. This is quite the historic event for mankind to have a working spacecraft reach interstellar space. Voyager 1 first felt the increased pressure when it reached the heliosphere. What was shocking was when the plasma was analyzed they found that the spacecraft was bathed in plasma 40 times denser in interstellar space than when they had encounter plasma in the heliosphere. When the astronomers at NASA looked more in depth at the data they gathered that Voyager 1 had reached interstellar space in August 2013! “We literally jumped out of our seats when we saw these oscillations in our data — they showed us the spacecraft was in an entirely new region, comparable to what was expected in interstellar space, and totally different than in the solar bubble,” Gurnett said. Voyager 2 on the other hand still talks to Voyager 1 by emitting dim signals approximately 23 watts, enough to power the light bulb in your refrigerator. Voyager 2 is about 15 billion kilometers away (or 9.5 billion miles). NASA states that by the time the signals get to Earth they are a fraction of a billion-billionth of a watt! Traveling at the speed of light the amount of time it takes the signal from Voyager 1 to Earth is about 17 hours. It truly is exciting and the people at NASA are very proud of this spacecraft. 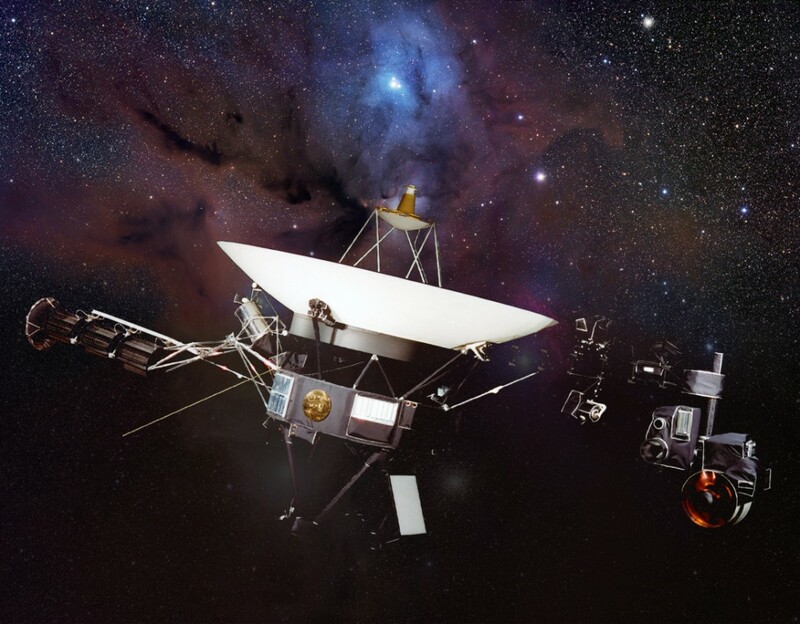 “Voyager has boldly gone where no probe has gone before, marking one of the most significant technological achievements in the annals of the history of science, and adding a new chapter in human scientific dreams and endeavors,” said John Grunsfeld. Scientists still don’t know when Voyager will reach the interstellar part of space where there is no influence from our sun. The total cost of Voyager 1 and 2 mission, including launch, mission operations, and nuclear batteries – cost $988 million (up to September 2013). For more on this you can read more from the press release here.